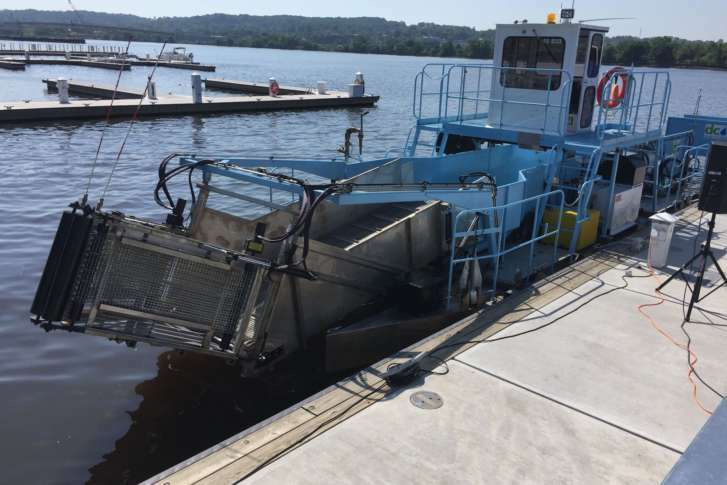 DC Water christened two new skimmer boats that clean up river trash and “can lift just about anything,” said Tommy Wells, chairman of the D.C. Department of Energy & Environment. If you think water in the District tastes a little weird, there are good reasons for that: A combination of factors make D.C. water kind of funky. The founder of D.C.-based Hydroviv explains what's going on. If you think water in the District tastes a little weird, there are good reasons for that: A combination of factors makes D.C. water kind of funky. Washington’s drinking water comes from the Potomac. And unlike most cities, chloramine — not chlorine — is used to disinfect it. And given D.C.’s age, lead contamination is prevalent. Eric Roy — a chemist and founder of D.C.-based Hydroviv, knows a lot about water. Roy was recently on “Shark Tank” and landed a $400,000 deal with Mark Cuban for his company that makes custom water filters to suit different cities’ needs. His idea for the company was sparked by the water crisis in Flint, Michigan. Roy outlined the situation with D.C.’s water supply on The Tommy Show. “Some people are not super psyched to learn that” D.C.’s drinking water comes from the Potomac,” Roy said. Roy said his company sees some pretty high lead levels in some homes in Washington, though DC Water says the District meets all lead in water standards. The other issue with D.C. water is, of course, the taste. “We understand Mr. Roy is promoting his filters. Please note that any filter that meets NSF/ANSI Standard 42 can effectively reduce chlorine taste and chloramines in drinking water. There are many point-of-use and point-of-entry filters with this certification on the market,” a D.C. Water spokesman said. Regardless, D.C. Water has a free lead-test program for residents. Roy has also found other, bizarre things in the water. EDITOR’S NOTE: WTOP is the traffic partner for The Tommy Show.